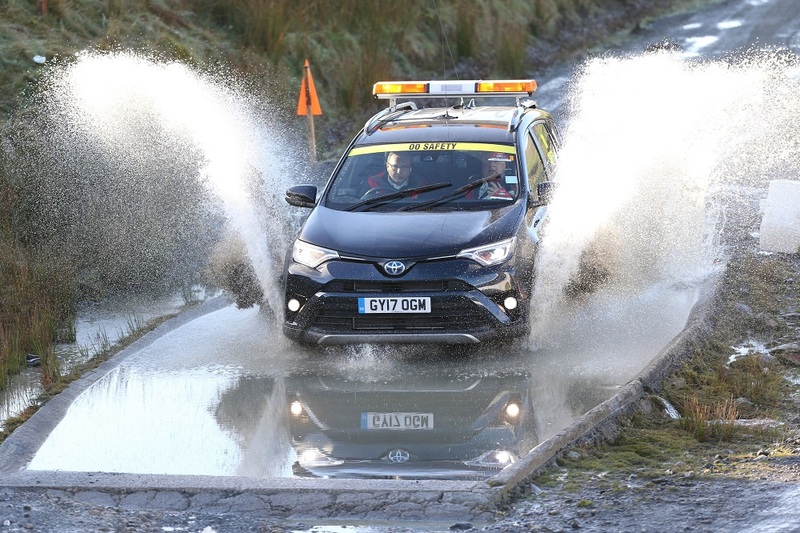 Toyota has renewed its support for Dayinsure Wales Rally GB, confirming it will return as the Official Car Partner for the UK round of the FIA World Rally Championship this autumn (4-7 October). For this first time in its history, the rally will include competition on closed sections of public roads, with a fleet of Toyota vehicles helping to make it happen safely and efficiently. The company will be supplying a fleet of liveried vehicles for use by the rally’s organisation team, safety crews and international dignitaries. The breadth and versatility of the Toyota range will be represented, with Land Cruiser SUVs used as safety cars running through the rally route ahead of the cars, Hilux pick-ups helping with the set-up of the special stages – including the new street stage in Llandudno – and Proace Verso MPVs ferrying personnel between venues. Toyota returned to the WRC in 2017 with a factory-backed team, run by four-time World Rally Champion Tommi Mäkinen. The new Toyota Gazoo Racing World Rally Team made an immediate impression on their debut in 2017 with the experienced Jari-Matti Latvala and the sport’s new young sensation Esapekka Lappi winning respectively in Sweden and Finland. Now the team’s latest signing, Ott Tänak, has added a third success to the Yaris WRC’s roster with a dominant victory last time out in Argentina. 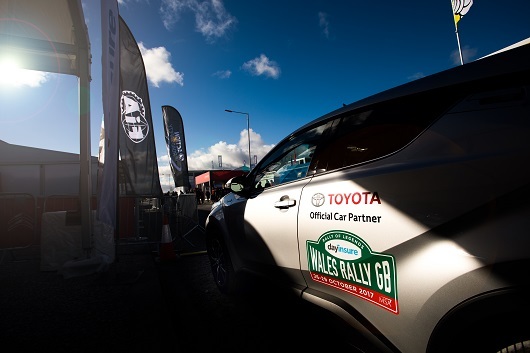 “It has been a pleasure to join forces with Toyota for the past six years and we are delighted it is extending its role as Official Car Partner to Wales Rally GB for what’s clearly going to be a special event in October,” said Ben Taylor, Managing Director of Wales Rally GB. Andrew Cullis, Toyota (GB) Marketing Director, said: “We are proud that while the Toyota Yaris WRC will be providing thrilling action on the stages, our road-going cars, SUVs and pick-ups will be also be playing their part in making the rally a success. Organising a World Championship rally is a huge logistical undertaking and we are pleased once again to be helping the Dayinsure Wales Rally GB organisers to host an event that runs smoothly and safely for everyone, teams and spectators alike.